UCU offers a range of membership benefits and services in addition to employment, education and campaigning support. By making full use of these benefits, offered through recognised providers, you could save the cost of your subscription many times over. If you have a problem connected with your work, see Getting support. UCU takes the protection of your information very seriously. We never sell membership lists to an outside organisation. Read more about our processes and your rights. Legal help for you and your family: family law services • wills online • probate and estate administration • lasting powers of attorney • property (including conveyancing and landlord & tenant) • road traffic defence • professional negligence • medical negligence. Click through for information on UCU's CPD programme for members, which includes free resources and courses. Every year thousands of injuries are sustained in the workplace. 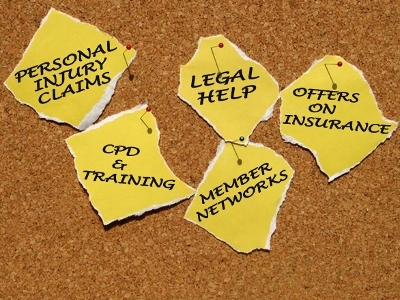 The union's specialist personal injury lawyers can advise and represent you to recover compensation. Any member who has concerns or is experiencing sexual harassment can call 0800 138 8724 in confidence, free of charge and 24/7 to talk about their experience, discuss options, receive counselling (if clinically appropriate) and details of further sources of support, if necessary. Counselling, support, financial assistance and more available to members through Education Support Partnership. Lighthouse Financial Advice Limited (Lighthouse) is the appointed provider of financial advice for UCU members. As a teacher and education professional who better to talk to about car and home insurance than Endsleigh? Because we're education specialists and the recognised provider of insurance services to UCU members, you can trust us to bring you our best possible deal.